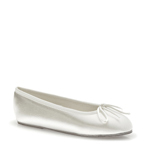 Dyeable satin upper in a dress ballet flat style with a round toe. 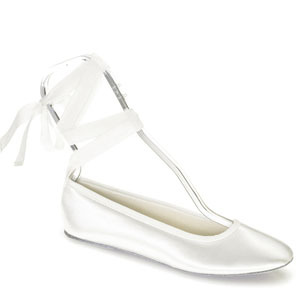 Contrast fabric edging at collar, pretty ribbon laces. 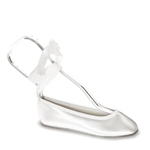 Touch Ups Women's Beth Satin Ballet Wedding Shoes Reviewed by Andrea on 8/10/2010 . Shoes are great, and arrived much sooner than shipping estimate. Would buy from seller again!